Dr. Megan is dedicated to treating cases that give patients their self-esteem and confidence back. Her use of advanced technology allows patients to leave Innovative Dental pain-free in a single visit, without unnecessary tooth pain. “We offer a relaxed, comfortable environment with top-of-the-line technology and, most importantly, a caring staff that knows how to treat and care for each patient based off their individual needs,” she says. 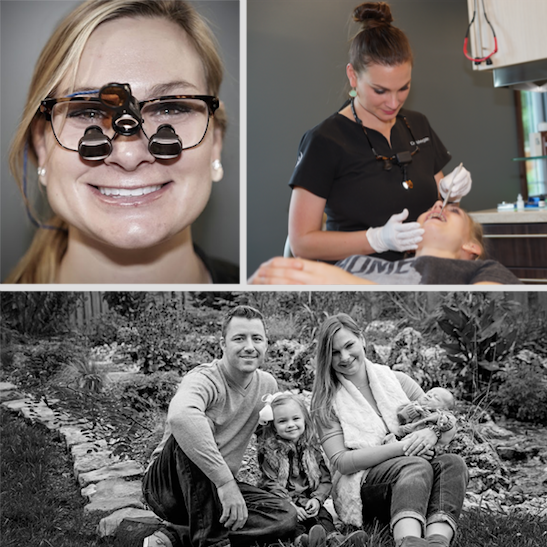 CEREC digital dentistry gives Dr. Megan the ability to make crowns, veneers, and bridges in a single visit, while 3D technology helps to more accurately diagnose and treat dental conditions. Dr. Megan lends her skills to the 417-land community by serving on the board for the Ronald McDonald House Tooth Truck. In her free time, she enjoys spending time with her family and scrapbooking. Contact Dr. Megan today, and experience the inviting and welcoming atmosphere of Innovative Dental. Some people I personally know who are in, or have had, Invisalign didn’t receive the same awesome experience I’ve had. Innovative Dental’s Invisalign provides the best treatments as well as over the top assistance! I have always loved my results here!